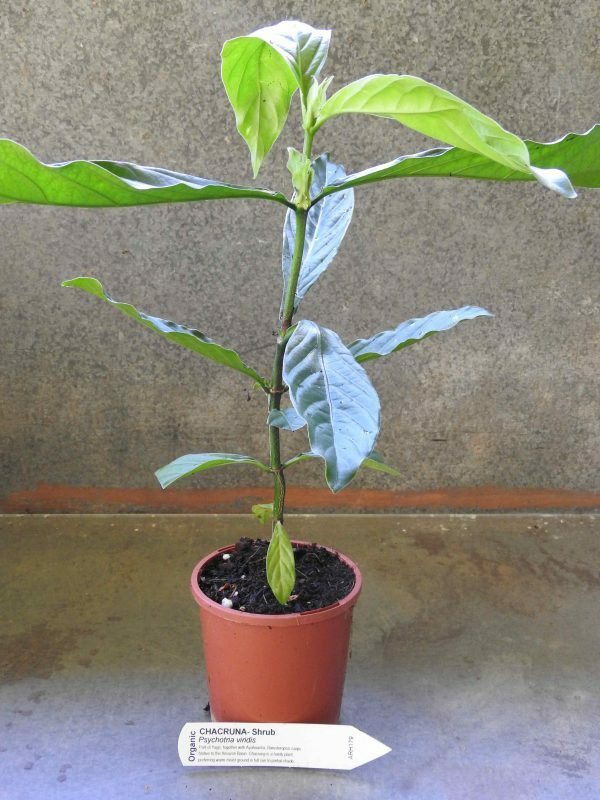 Chacruna plant, Psychotria viridis, is part of Yage, together with Ayahuasca, Banisteriopsis caapi. Native to the Amazon basin, Chacruna plant is a tropical shrub, preferring warm, moist ground in part shade to full sun. Be the first to review “Chacruna, plant” Click here to cancel reply.